For progressive evangelical Christians, there’s no other place to be in the summer than the Wild Goose Festival. Held annually in picturesque Hot Springs, N.C., the festival, attended by up to 3,000 faithful, is a community gathering at the intersection of social justice, spirituality and music. 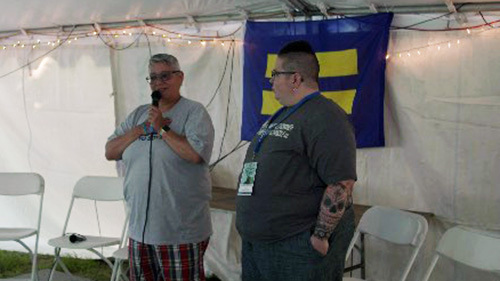 “As southern states continue to codify discrimination against LGBTQ individuals and families under the guise of religion, it is heartening to experience the warm welcome of LGBTQ people in a space such as the Wild Goose Festival,” said Eva Kendrick, HRC Alabama state director. “It's even more encouraging that these people of faith are also Equality Voters who will head to the their polls across the country in November to elect pro-equality candidates and reject anti-LGBTQ religious discrimination." 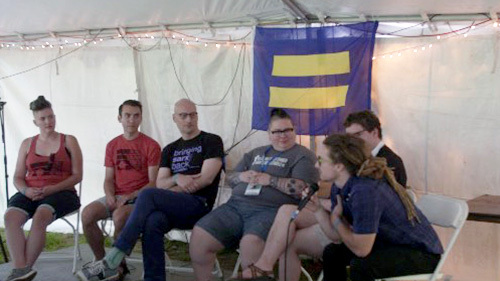 Yesterday, HRC Foundation hosted a pre-festival Justice Camp and released our latest guide, Coming Home to Evangelicalism and to Self, the sixth in the Coming Home series. The guide is aimed at LGBTQ evangelicals who are on the journey toward living fully in their sexual orientation, gender identity and expression, and in their faith and its traditions. 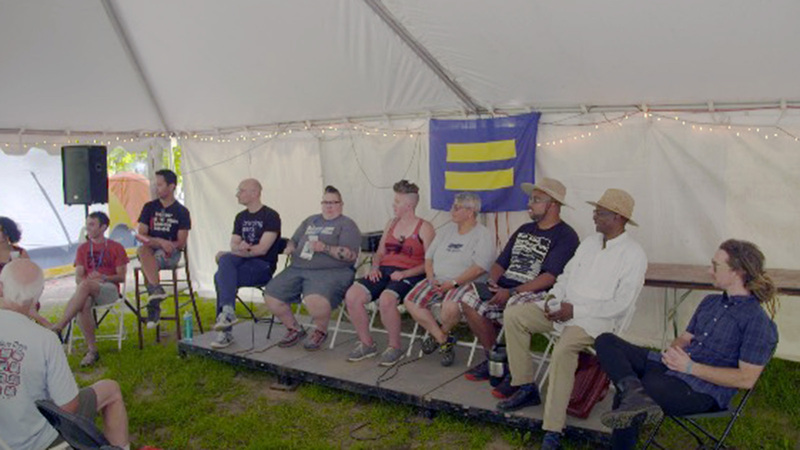 This year’s Justice Camp centered voices that have been historically marginalized by bringing together Black and Latinx faith organizers and leaders. “Bringing these voices together not only helps enliven faith with action, but also connects these two communities in critical ways -- helping to tell the story of struggle and justice through several lenses,” said Lisbeth Melendez Rivera, HRC director of faith outreach & training. 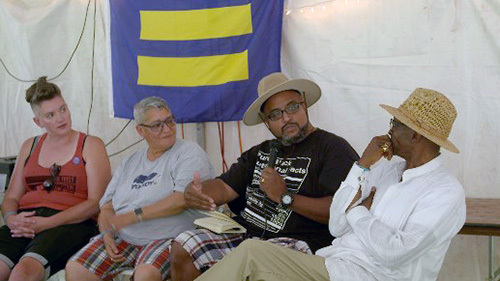 Topics including intersectional and relational faith organizing were explored during a panel featuring Melendez Rivera and HRC Religion Council member Rev. Dr. T. Anthony Spearman, as well as Dr. Robyn Henderson-Espinoza, Rev. Alba Onofrio, Jared Vázquez and Rev. Robert Wright Lee. This moment allows us to pause and celebrate the growing support among evangelicals for the equal rights, dignity and inclusion of LGBTQ people. According to Public Religion Research Institute, more than half of young white evangelical Protestants favor marriage equality and a majority of evangelicals support laws that would protect LGBTQ people against discrimination in jobs, public accommodations and housing. For many LGBTQ people and our allies, faith continues to be an important part of our identities. Explore HRC Foundation’s Religion and Faith work here.